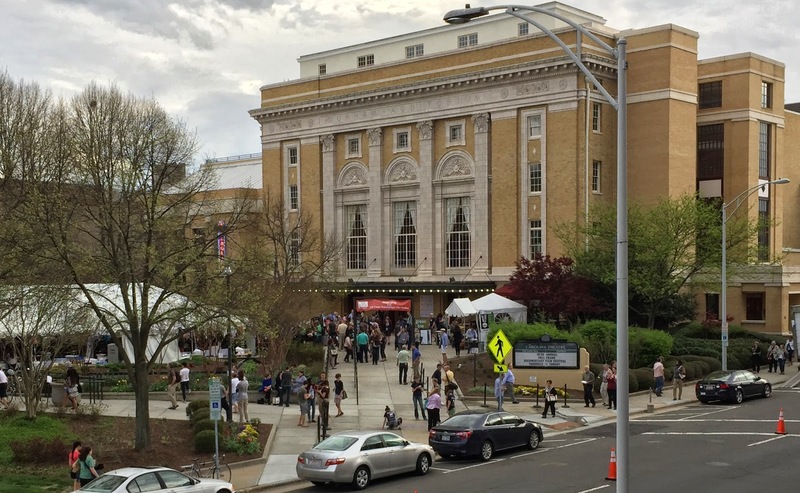 The second day of this year's Full Frame Documentary Film Festival was as overcast as the first, but to all of us film fans stuffed into the Carolina Theatre and a few adjoining venues in downtown Durham, N.C. it really didn't matter. As usual, Friday brought a lot more people to the event, all lining up for helpings of primo infotainment. I was happy to be among them to take four fascinating films. My Friday kicked off with Frederick Gertten's BIKES VS CARS. It's really not that much of a spoiler to say that Gertten's film is rooting for bikes. 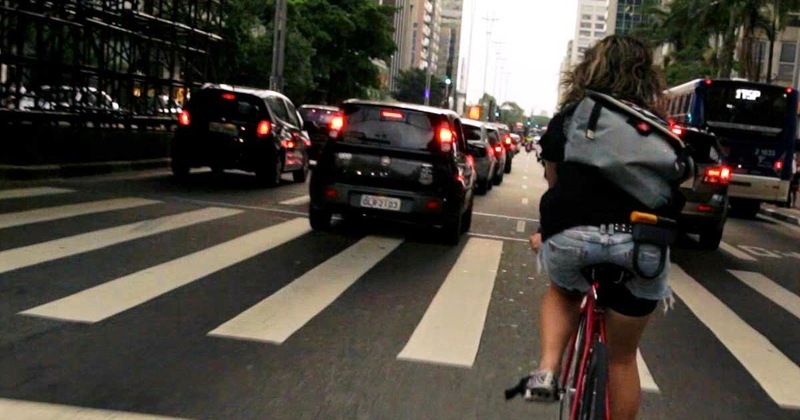 With stunning statistics and factoids like “In Toronto, a pedestrian is hit by a car every three hours, a cyclist is hit by a car every seven hours,” Gertten's globe-trotting doc contrasts how different cities are more bike-friendly than others (Copenhagen and Amsterdam are voted the bike capitals of the world), and examines how traffic congestion is going to get way worse (with 2 billion cars projected to be on the planet by 2020) unless we embrace alternatives. People of a certain age remember how much of a sensation motorcycle daredevil Evel Knievel was in the '70s, but the ups and downs of his unique career have mostly been forgotten. 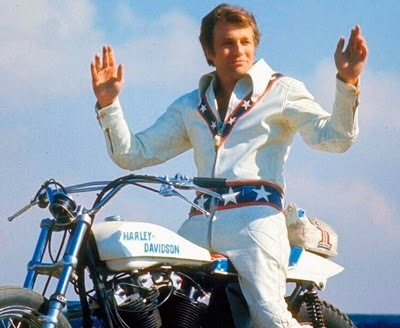 Daniel Junge's exciting biopic BEING EVEL puts it all in perspective by sorting all the publicity stunts, rocky relationships, and ego-trips that made the man into a fiery narrative that made the Full Frame audience gasp throughout. Interviewee Johnny Knoxville, one of the film's producers, seemingly an Evel Knievel expert, breaks down how Knievel's death-defying feats paved the way for his own Jackass, and the whole extreme sports culture, while friends and family add their remembrances. But the best part is the archival footage of the stunts themselves including the Snake River Canyon jump in Idaho, and his unsuccessful attempt to jump 13 buses in London (he followed this up by successfully jumping 14 buses back in Ohio). A beautifully constructed blast from the past (loved seeing those Evel Knievel toy commercials again), BEING EVEL is the most fun of the films I've seen so far at the fest. A subject I hadn't heard of before is explored in Jon Nealon and Jenny Raskin's HERE COME THE VIDEOFREEX, a profile of a collective of counter culture artists and activists armed with newly invented portable video cameras, who were intent on providing an alternate history of the late '60s and early '70s to what was being broadcast on the major TV networks. 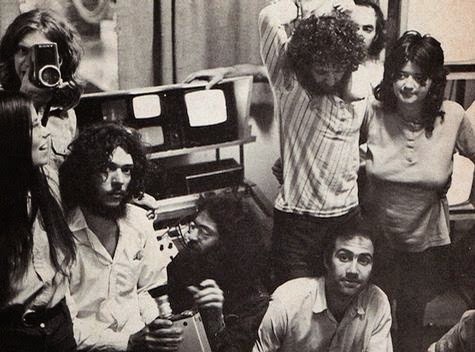 Despite having a pilot rejected by CBS - a program that included interviews with Abbie Hoffman and Black Panther Fred Hampton - the Videofreex went on to launch the first pirate TV station, Lanesville TV, and produce thousands of hours of material. It can be a bit wearying to make it through all the old grainy black and white clips excerpted here, but the insightful interviews with founding members David Cort, Parry Teasdale, and Mary Curtis Ratcliff keep it from lagging. Neolon and Raskin's portrait of these ragtag pioneers will, with hope, keep their story from being just a footnote in the history of guerilla television. Ratcliff perhaps sums it up best: “A lot of people said in the early days that the Videofreex could be one of the signposts toward a future in which we all have video cameras. Which at the time meant nothing to me, but now I see it came true. We’re all Videofreex.” We certainly are. 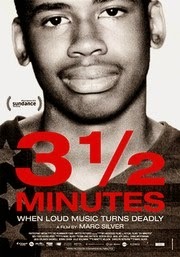 Lastly, I attended the best documentary of the fest so far: Marc Silver's 3 AND 1/2 MINUTES. Part procedural, part courtroom thriller, it breaks down what the media labeled the “Loud Music” Trial, in which a black teenager was shot and killed by a middle aged white man over an argument at a gas station in Jacksonville, Florida in 2012. Michael Dunn, a 45-year old software developer, had asked 17-year old Jordan Davis and his three friends to turn down their music, and their tense exchange escalated when Dunn pulled out a gun and started shooting at their car. Davis was killed by one of the 10 bullets fired, and Dunn sped away with his fiancée. Yes, it's another angering instance of a white man murdering an unarmed black youth, and Silver's extremely well constructed film takes us into the aftermath with compelling clarity. It's a heart-wrenching experience to see Davis's parents, Ron and Lucia, fight for justice and for stricter gun control laws, and it's incredibly angering to hear audio of Dunn's prison phone calls to his fiancée, in which he claims he's the real victim. After the screening, Jordon's father, Ron Davis spoke (after a huge round of applause) and participated in a Q & A, and had many powerful, and undeniably righteous things to say especially about embracing racial differences. I walked away very moved by the entire experience. Stay tuned for coverage of days 3 & 4 of Full Frame.